At Carlton Colville we have one of the widest ranges of preserved vehicles of any museum, and further exhibits are still accepted from time to time, although restrictions on covered accommodation necessarily confine these mainly to items of local or specific historic interest. 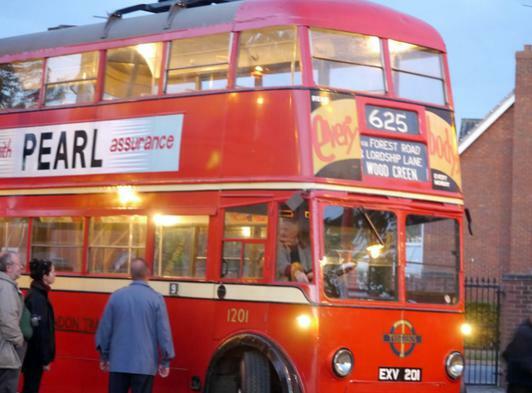 Our story began back in 1962 when four local tramway enthusiasts rescued the body of an old Lowestoft tramcar, no. 14, from its use as a summerhouse at Gunton. 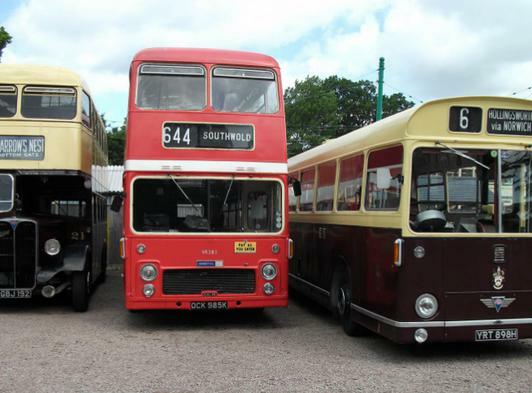 From this grew the idea of forming a transport museum, and as a result the East Anglia Transport Museum was founded on its present site in 1965. A Society was formed with the object of developing and running the Museum and started off with a few old vehicles which had been either donated or loaned, but with no other assets whatsoever. The huge task lay ahead of transforming a disused meadow,into a museum with depots, stores, workshops, administrative offices, refreshment facilities and toilets, not forgetting roads, tram tracks, overhead wiring for trams and trolleybuses, and a light railway. The Museum is fully registered and has charitable status. Whilst it serves principally as a major tourist attraction in Waveney, great emphasis is also placed on its educational role. 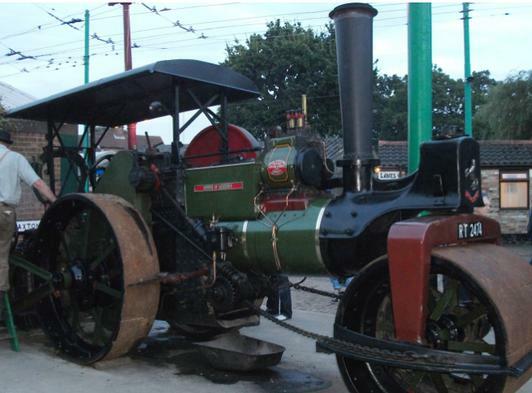 There is a chance to travel on types of vehicles now half forgotten, and you are free to wander around the Museum site or to take a stroll along our woodland path to the tram terminus at Hedley Grove. Other amenities include our shop, which is particularly well stocked with books and souvenirs, and the Terminus Tearooms where light refreshments are reasonably priced and ice cream and soft drinks are always available.